On Monday 7 March 2016 Monash University’s Vice Chancellor Margaret Gardner AO announced plans to vacate the Berwick campus prior to the end 2018. This announcement is devastating not only for past and present students, but for future students in the outer suburbs, the regions and Melbourne’s South-East. Ask any student who has an understanding of the inner working of this University and they will all tell you the same thing. Monash University has consistently undervalued the Berwick campus and viewed it as a poorer, insignificant sibling without much to offer. The underlying issue here is that the Berwick campus has never been given a chance to thrive. Over the years the University has unveiled grand plans for expansion, with new faculties and facilities that would see over 12,000 students at the campus in the future. Instead, Monash Berwick has been a merry-go-round where faculties have been able to come and go from the campus as they pleased, because to put it simply, many academics didn’t want to travel to Berwick to teach and leave behind the comforts of the inner city. We saw much of the same at Monash’s Gippsland campus. Recently Professor Gardner attributed ‘consistently low enrolment’ as the driving force behind the University’s decision. Whilst this statement has an element of truth, it is not because students don’t want to study in Berwick. It is due to the fact the University has not made places available, whilst also shifting units to other campuses, forcing prospective and current Berwick Students to study elsewhere. Monash Berwick’s future had been decided years ago and because the concerns previously raised by students were not listened to, Monash University has been able to manipulate a set of numbers, which they have based Monday’s announcement on. Monash University created a self-fulling prophecy that the Berwick campus would not succeed. Plans were created and rarely followed through on as needed, leaving students hanging, courses failing and staff without answers. Investments and attention from stakeholders has been laughable. Over the last few years, representatives from the Monash Union of Berwick Students have reached out to local representatives to voice concerns and whilst the Union notes the recent support for tertiary education to continue in Berwick, these hollow statements are too little, too late. The time for action was at least two years ago. Over the coming months the Monash Union of Berwick Students will continue to fight for the rights of all students at Monash University Berwick to ensure that they are not personally disadvantaged by the University’s decision. It is the Union’s belief that all Berwick students should have the right to finish their degree in Berwick because that’s what they signed up for. Whilst we hope that the University will see some common sense in relation to this matter and re-evaluate its decision we expect that if the University continues to transition out of the Berwick campus it will do so with more grace than when it left Gippsland. What did Berwick’s future hold? 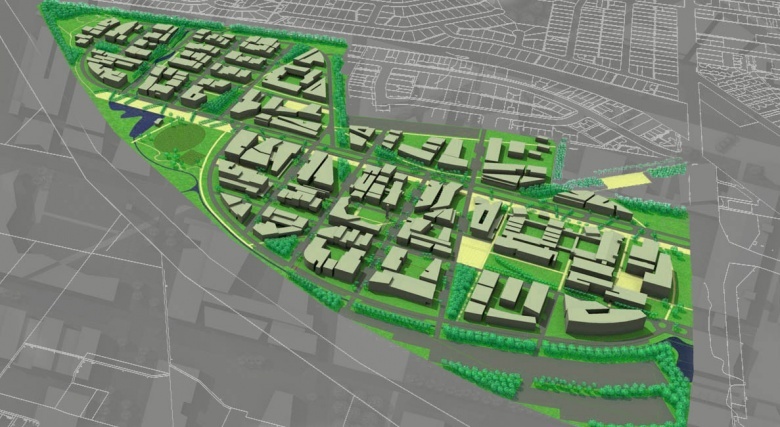 "On such a large site (54ha) the expectations of the stakeholders are rightfully high and this urban plan seeks to embrace the complex aspirations of the Monash University, the City of Casey and Delfin Lend Lease. The site has excellent freeway access and is close to Berwick train station, Berwick Public Hospital (under construction) and the Berwick Township. Foreseen is a future that melds a dynamic and memorable university campus with an evolving, expanding community of learning, living and working. The key idea behind preparing such a response is to describe a planning framework that provides for the integrated siting of a varied number of built form types that allows for adaptation and change, for environmental sustainability and for changes of use as the community matures." As of 2009, The Australian reported plans included an additional 10,000 students joining us, creating a 12,000 student campus. "MONASH University has flagged a potential 10,000-student expansion at its Berwick campus in outer suburban Melbourne to meet the federal government's long-term expansion targets. Amid some concerns that meeting the government's 2025 expansion targets could put the quality of Australia's universities at risk unless matched by additional funding, Professor Byrne said Monash was determined not to compromise on quality as it looked to expand Berwick and its regional Gippsland campus." We always had the potential to be bigger and better. No one followed through for Berwick and now we see the detrimental impact of their apathy. Brief Campus Closure in Las Vegas. Temperature of this state is slightly high than other states of America. Therefore, Use of air conditions are more in this state. I have some question related to air condition and i got answers of my questions through this post. However, I want to get professional essay writing service but hope people of Las Vegas happy with this decision.